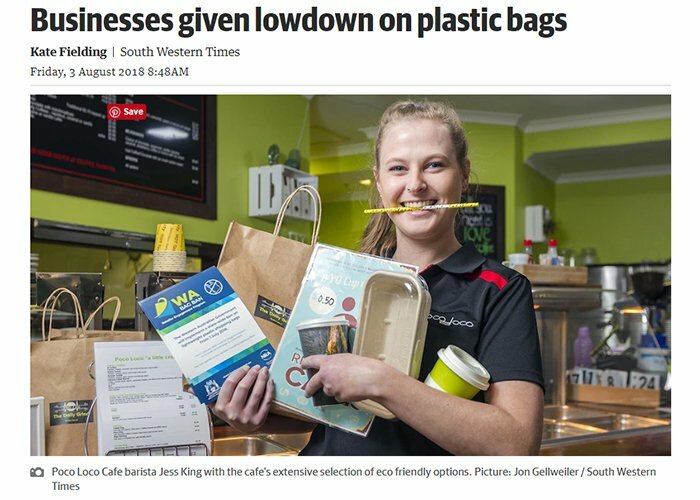 Bunbury business owners are being urged to bag some information on their responsibilities under the newly introduced ban on lightweight plastic shopping bags. The National Retail Association is in the South West this week giving advice to retailers as the ban continues to be phased in. Several Centrepoint Shopping Centre stores have already been putting initiatives in place and shoppers are being warned to be prepared. National Retail Association industry policy manager David Stout said it was vital retailers were up to speed with the changes. “Regulations were implemented on July 1, immediately banning bag suppliers or manufacturers from providing false or misleading information about banned bags,” Mr Stout said. “Retail businesses have until December 31 to use up their existing stocks, but should start to make the transition as soon as possible to avoid issues. “The new laws apply to all retailers regardless of size or type – from supermarkets to fashion boutiques, from fast food outlets to petrol stations. “All businesses currently using plastic bags face important business decisions over the next few months.